Having never truly “decorated” a place of my own before… and I’m talking the start from scratch, ground up kinda decorating… I was under the impression that it all just kinda “comes together” the second you move in. I pictured walking into an interior design store, pointing out “this, this and this please,” and viola! Dream room done in 15 minutes max. Hahaha. Those of you who have done this before already know. Quite the contrary, in fact. Turns out, it’s a lot of “What do I even want?” way before the “What exact piece do I need” kicks in. 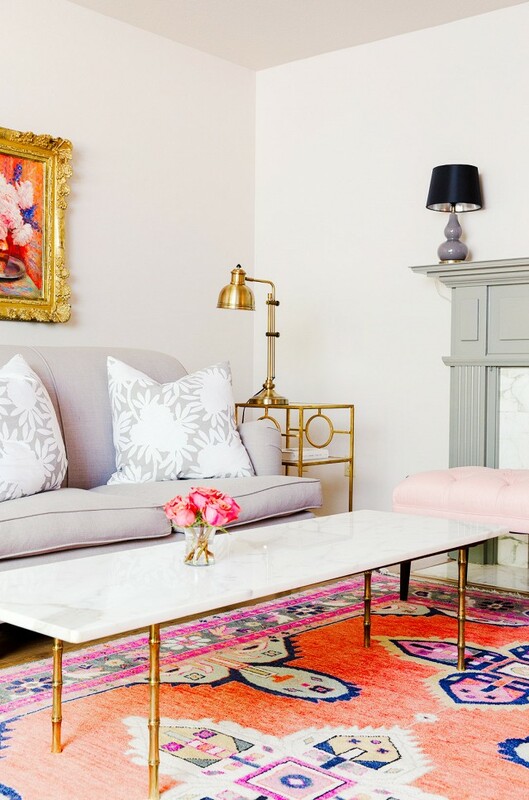 But after browsing the web (and Pinterest, naturally) for some major inspiration, I finally feel like I’ve got a well-rounded idea of what I’m looking for in my perfect living room space. 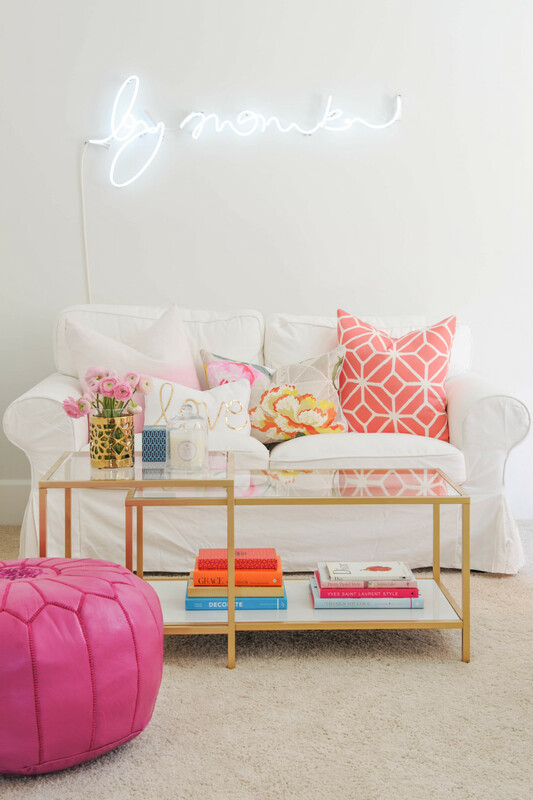 When I picture my living room, I picture a space that is warm, bright, cozy, fun and livable all at the same time. 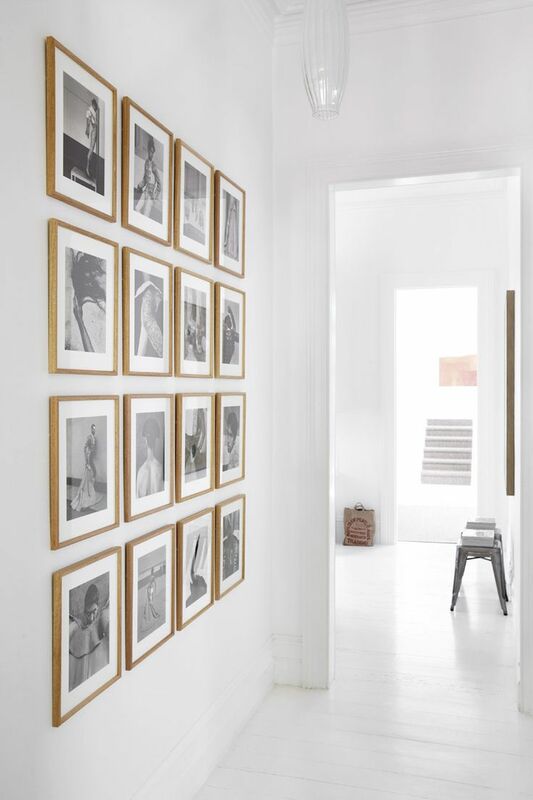 Think soft, welcoming whites with saturated pops of sweet, feminine colors and warm, gold accents. I’ve rounded up a few of the images that have most inspired me below (along with few similar items to achieve the look) to give you a taste for what I’m after. While I’m waiting until the room is complete to give you the full reveal, I thought I’d ago ahead and share with you all the hero piece I just purchased! 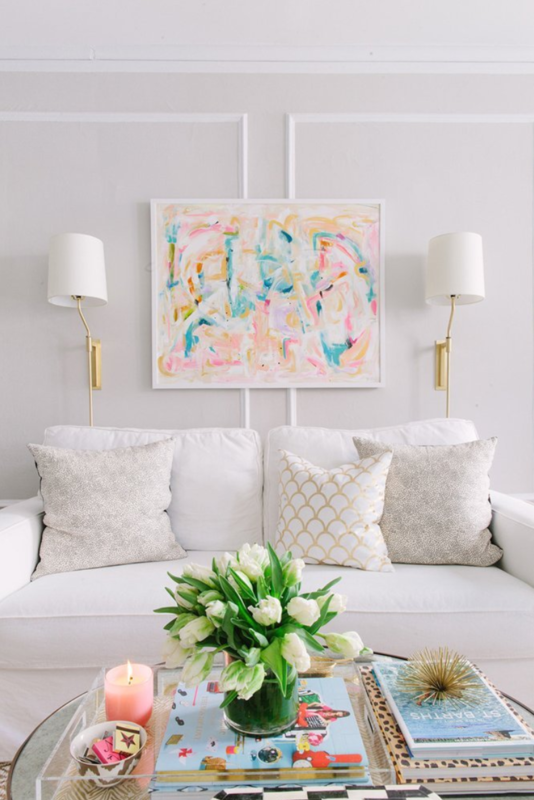 It’s the exact pop of color I’ve been looking to center the space around, and I can’t wait to accent it with gold side tables (I love these), lots of white pillows and a stunning black and white, symmetrical gallery wall. Crossing my fingers it’s a perfect fit… because another decorating lesson I’ve learned? You never know for sure until you see it in the room! I’m obsessed with home decor & I love the rug! 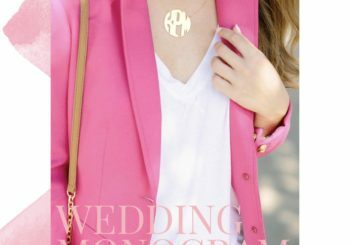 It even matches your blog logo. Great inspo! Love that rug. Good luck! I can’t wait for the big reveal!! Decorating is quite the process! And from my experience, never ending! haha .. but in a good way! I feel like I am constantly changing things around and adding and taking stuff away .. it’s such a fun process!! 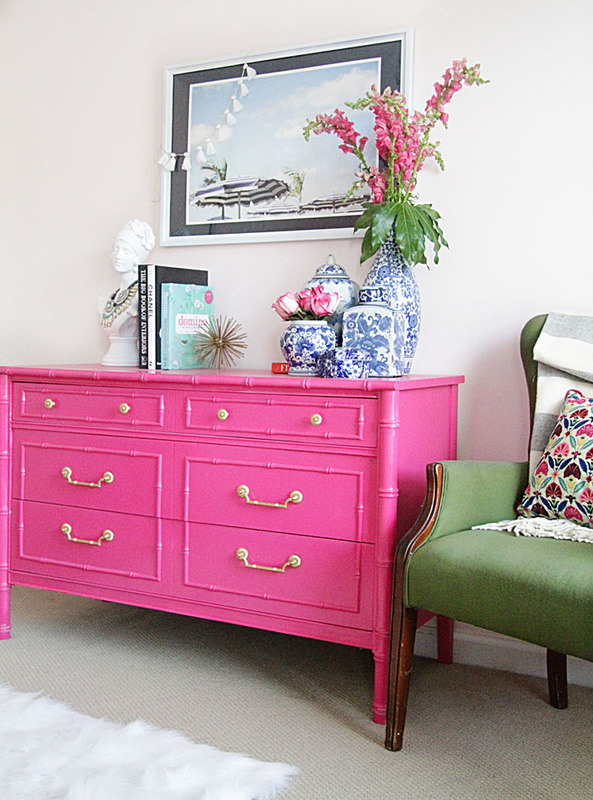 I am moving into a new apartment and these pictures are a perfect inspiration!! Thank you!! I LOVE IT! I’m currently redecorating. Please show us bedroom inspirations soon! I’m currently in the process of trying to decorate my new place! My boyfriend and I moved in together and it will definitely be interesting trying to meld our styles. Naturally, I’ll have some Texan decor as well (gotta bring the home state to Chicago!). Can’t wait to see the reveal! Ah apartment decorating is so fun! I agree, lots and lots of work! Definitely had a similar experience (aka, sat on Pinterest for hours on end until finding exactly what I wanted)! Best of luck to you, I’m sure it will turn out beautifully! Can’t wait to see it!